This is a sponsored post written by me on behalf of Seattle’s Best Coffee® for IZEA. All opinions are 100% mine. Hey, coffee lover! Are you looking to upgrade your morning cup? I have a few great tips that will help you do just that! 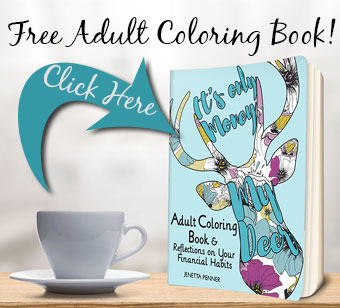 They are super easy and won’t put a dent in your pocketbook. 1. Use Seattle’s Best Coffee®- Seattle’s Best Coffee® is brewed from 100% Arabica beans, is a high-quality coffee and has a surprisingly smooth taste. It’s like getting a FREE upgrade from your regular brand of coffee. And we all like free! As a savvy shopper, you want great quality products and there are plenty out there, but they may be more expensive than your budget allows. As a frugal shopper, I know you are always looking for a deal, but you are not willing to sacrifice quality for it! You want both! 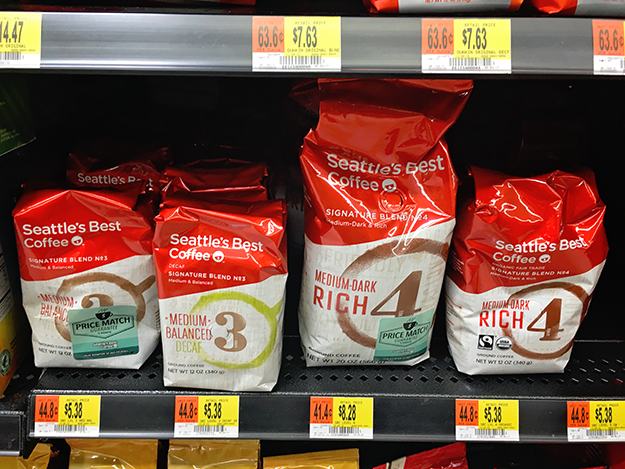 That’s way Seattle’s Best Coffee® is the perfect choice for the savvy and frugal shopper like you. I mean why settle for average coffee when you can get Seattle’s Best Coffee® for nearly the same price? 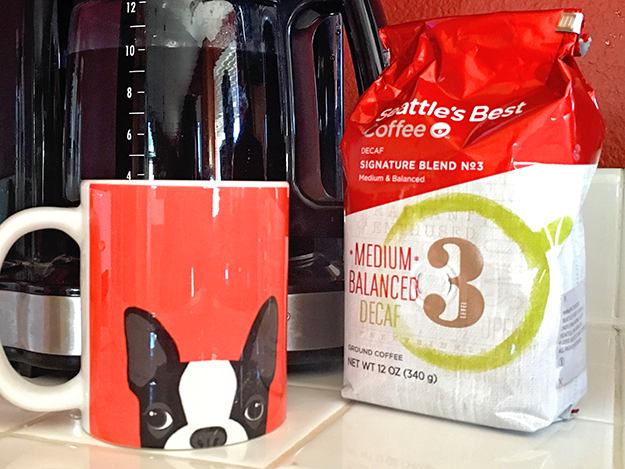 Seattle’s Best Coffee® had a great, smooth taste and is super easy to drink. Recently, I ran over to my local Walmart and picked up a bag from a variety of options for an everyday price I loved. I made the switch and enjoyed starting my day with this everyday coffee, instead of my regular brand. 2. Use filtered water- It’s simple. If you start with the best tasting water you are going to have better-tasting coffee. Either purchase gallons of filtered water or better yet, save money over time and get a filter for your sink. 3. Use half and half- Ever notice that the best coffee shops serve real milk and half and half? To get that coffee shop taste at home you should too! 4. Heat your milk- You have warm coffee, don’t make it cold by adding cold milk. Pick up a milk frother/warmer at the store and make a perfect hot cup of joe. 5. Store it properly- According to the Nation Coffee association, the worse enemy of coffee freshness are air, moisture, heat, and light. To keep your coffee fresh as long as it can store it at room temperature. A cool and dark location is best and if you can find a container with an air-tight seal, even better. 6. Sprinkle in some cinnamon or cocoa- Kick your coffee up a notch and make it special with a dash of cinnamon or cocoa powder. This makes you feel like you are at the coffee shop when you are in the comfort of your home. 7. Use the right amount of coffee- Follow the package directions for amount of water and coffee to add to your maker. Sometimes I’ve been known to be lazy and not measure exactly. Measuring properly better ensures a consistent cup of coffee. 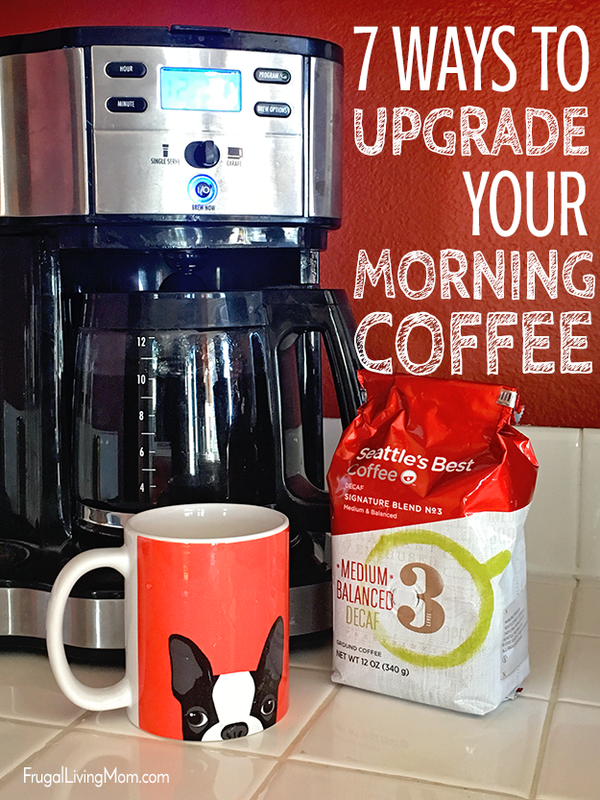 Upgrading your coffee is easy and you don’t even need to spend a lot! 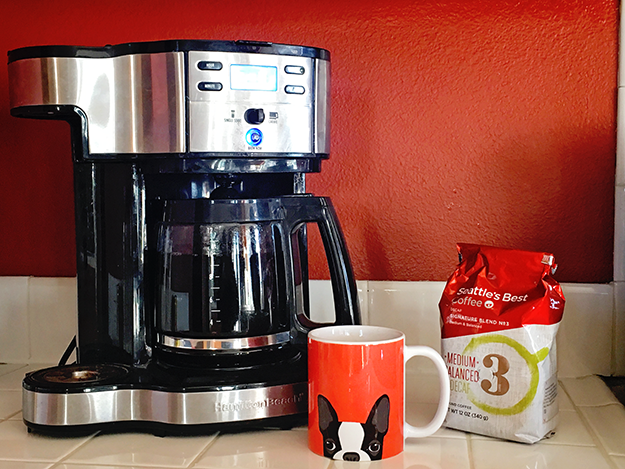 What are your tips for upgrading your cup of morning coffee? Share them below in the comments.